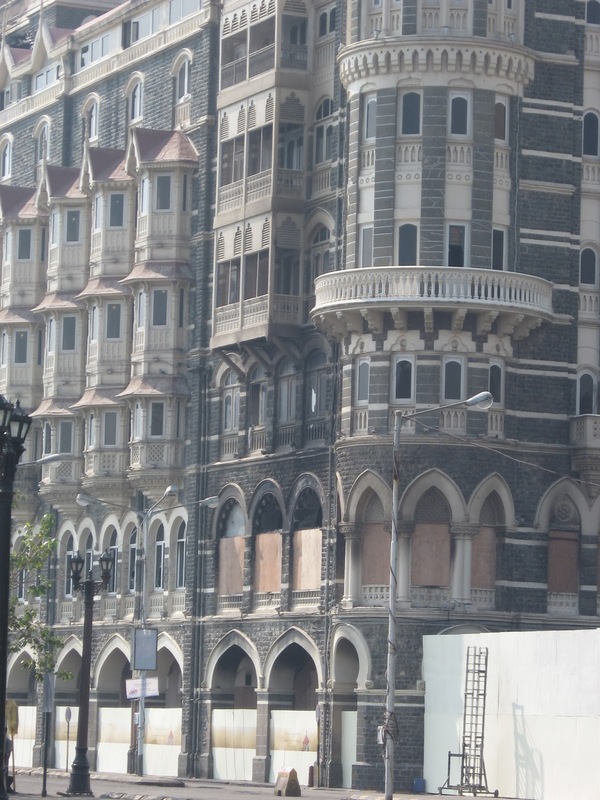 CNN and HBO are hosting the 90-minute documentary “Terror in Mumbai” about the 2008 terror attack in Mumbai against civilians, largely in luxury hotels. The HBO link for the film is here. Fareed Zakaria narrates the film directed b Daniel Reed, for which filming apparently started in 2009. The film has a lot of footage of cell phone calls among the terrorists tracked through a facility in New Jersey after terrorists activated three SIM cards. The attacks against civilians were of great brutality, matched in recent times only by the attacks in Kenya (Nov. 23). Police in India were shipshod at first and did not try to take quick hold of the situation. The attack was later traced to elements within Pakistan supported by the Pakastani ISI, who used the terror attack targeting apparently affluent civilians for what they saw as political gains in Kashmir. But the attack also had radical Islamic elements speaking of the “Army of the righteous”. 170 people died in the attack, including many Muslins. Attackers told the media, “This is just the trailer, wait for the rest of the film.” Zakaria warns that the attacks were fed by poverty and despair of young men leading to a culture of hate, which fantasizes imposing radical Islam on all of India. Aimal Kassab was the only attacker arrested alive by Indian police. 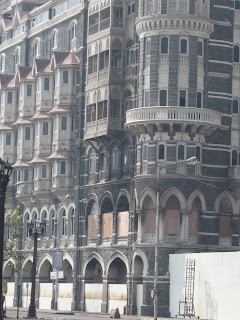 Wikipedia attribution link for picture of Taj Hotel. 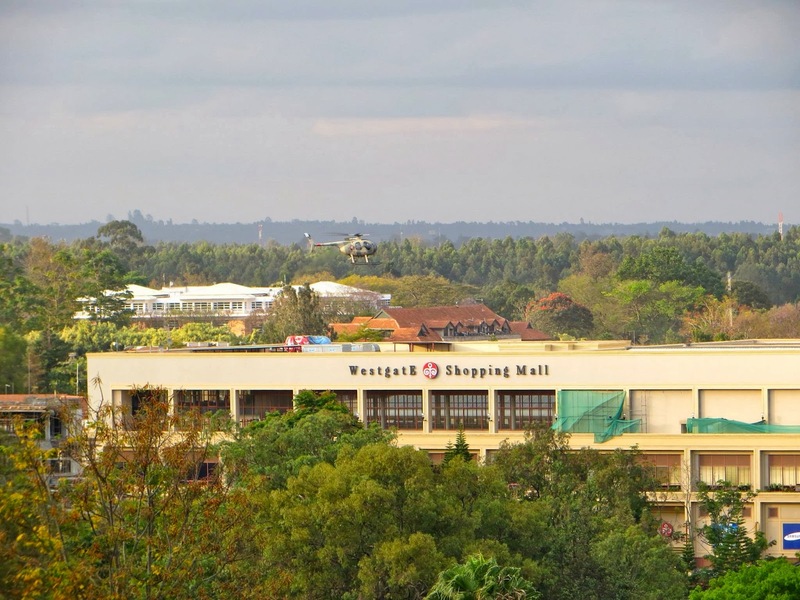 Dateline Lester Hold and Kate Snow in “Nowhere to Hide”, at the Westgate Mall in Nairobi, Kenya, September 21, 2013. The report gave the details of families where parents were separated from some of their children. In some cases, some relatives were still outside the mall, in others they were sheltered by strangers. There were cases where people were targeted when their cell phone ring tones went off. But cell phone video captured the ordeal of the Walton family. The older brother Phillip Walton protected the younger brother, willing to sacrifice himself for family even though he hadn’t personally “created” it. “He knew he was responsible for his younger brother” at 14, according to Kate Snow. They hid behind a barricare of flower beds. Terrorists seemed determine to target civilians as “accomplices” of western civilization. One mother gave an account of getting her kids to play possum and lie still, and even the two year old did, for 3-1/2 hours. They are approached by a man who turned out to be a Kenyan policeman. But the Walton boys did not fall for a ruse of terrorists pretending to be police. Eventually, a Kenyan civilian helped rescue many of the people, who knew he was OK because he was not carrying a weapon. It’s unclear how he could float among the terrorists and be left alone, other than by the color of his skin. The civilian, a Muslim, said that in his mind religious creed should have no bearing on the value of human life, and he disagreed with radical islam. The NBC report seemed to suggest this was religious persecution of Christians and Jews. The report did not get into the history of Al-Shabaab. Wikipedia attribution link for picture of Westgate mall. There is a Westgate Mall near Cleveland, Ohio, near Westlake and Elyria and the Turnpike, to which I have been many times. Monday night’s episode (from Nov. 11) of “The Blacklist” added a new wrinkle into the idea of total financial collapse, Stansberry style. This time, radicals associated with “Anonymous” and the Occupy movements of a couple of years go shut down the air space with airport attacks so that cash cannot be moved by air. Then they hijack armored trucks so that cash goes into the hands of the poor in the demonstrations. I’m not sure where the counterfeiting opportunity comes in. But once “Monopoly money” was in regular circulation and could not be distinguished readily from real bills, the whole artifice of a financial establishment would collapse, and a barter world would ensue. That seemed to be the theory. Spader’s character also smothered a terminal patient, a relative, in bed, in a surprisingly touching scene. It does seem that NBC’s “The Blacklist” is becoming a catalogue of existential threats to our way of life. A startling episode this evening (Monday, November 4, 2013) of NBC’s “The Blacklist” shows how a major terror attack on a subway could happen. The episode is called “Frederick Barnes”, named after the mad-scientist character who, in grief over an ill son, engineers the attacks. The weapon starts with a steel briefcase, which is left on a subway car and then activated by remote control when the train leaves. It is also used in a courtroom. The episode mentions strontium-90 and radioactivity contamination, and the patients seem to have swollen blood vessels. It’s not clear what the gas is, and whether it is a poison or infectious agent. There seems to be an antidote, but Barnes actually invades a hospital to keep a patient from recovering. As this episode shows, many hospitals do not have airtight security in their patient wings or intensive care rooms, which are almost like regular hospital rooms in many cases. The attack is said to happen on the Washington DC Metro Red Line. But the trains used in the episode look like the trains from the Toronto Metro (which I have ridden once). Also, there is a Farragut North but no Farragut East on the real Metro. The Pilot of the series, in which a captured spy gives information about future attacks to a young woman and FBI agent who may be his daughter, was reviewed on the TV Blog Sept. 24, 2013. See also a report of a simulation of a similar incident by ABC Sept. 10, 2013. Picture: how we have wildfires.